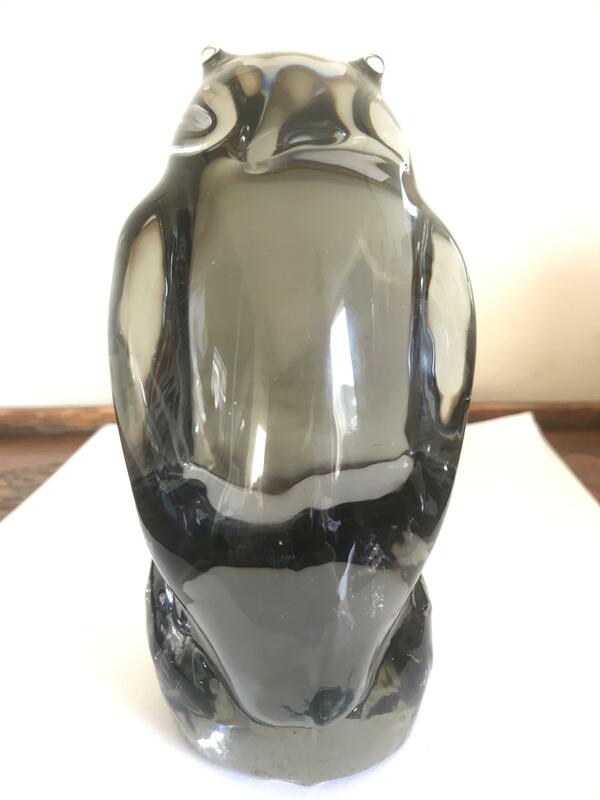 Hi I've got a heavy glass owl, 5.5" Tall and his colour is close to pewter or silver if comparing against a Whitefriars colour chart (tho I've always been naff with picking between those 2 colours ). He has a lot of shelfwear to the base, but no makers marks, labels or signatures. 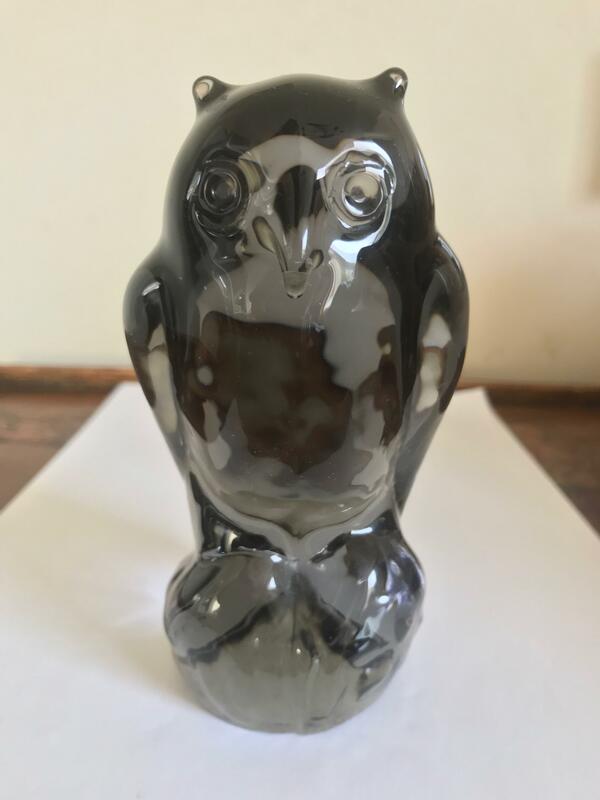 To me, he reminds me of some of the Ray Annenberg owls, but I may be way off the line? 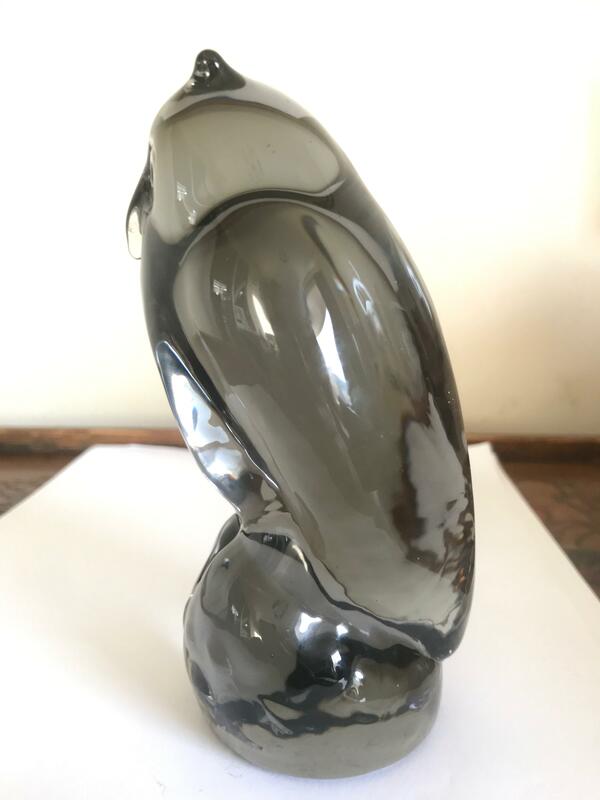 Has anyone got any idea of his maker or any other info please? Agree with Inca... definitely a Reijmyre owl.